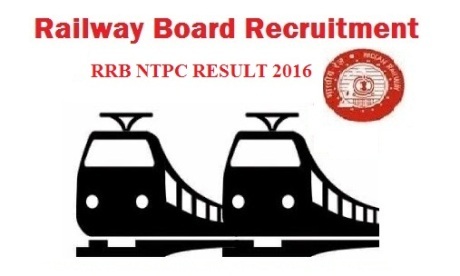 RRB NTPC Result 2016 declaration date has churned out the excitement and anxiety of the candidates. The result declaration can stretch up to 1st week of August. Candidates are suggested to keep patience. RRB NTPC Result 2016 has been ruling over internet since the last day of completion of the examination. Every now and then news is being circulated about fictitious result date for RRB NTPC Result 2016. Therefore candidates are suggested to go through valid and authenticate news in this regard. RRB NTPC Result 2016 declaration date has churned out the excitement and anxiety of the candidates. The result declaration can stretch up to 1st week of August. Candidates are suggested to keep patience. RRB NTPC Result 2016 has been ruling over internet since the last day of completion of the examination. Every now and then news is being circulated about fictitious result date for RRB NTPC Result 2016. Therefore candidates are suggested to go through valid and authenticate news in this regard. As per the latest update released by the Board, RRB NTPC Result 2016 is under strict confidential process. The Board has pushed aside the rumors of RRB result being declared in the month of July. The official declaration regarding the result is yet to be declared. The RRB NTPC 2016 examination was held for recruiting selected workforce against 18252 non technical posts. The NTPC (graduate) exam was conducted by 21 RRBs. The result is expected to be declared zone wise. Near about 93 lakh candidates had registered for the RRB NTPC 2016 exam, however only 56 lakh candidates had appeared for the exam. The examination was held at various examination centres across the country.